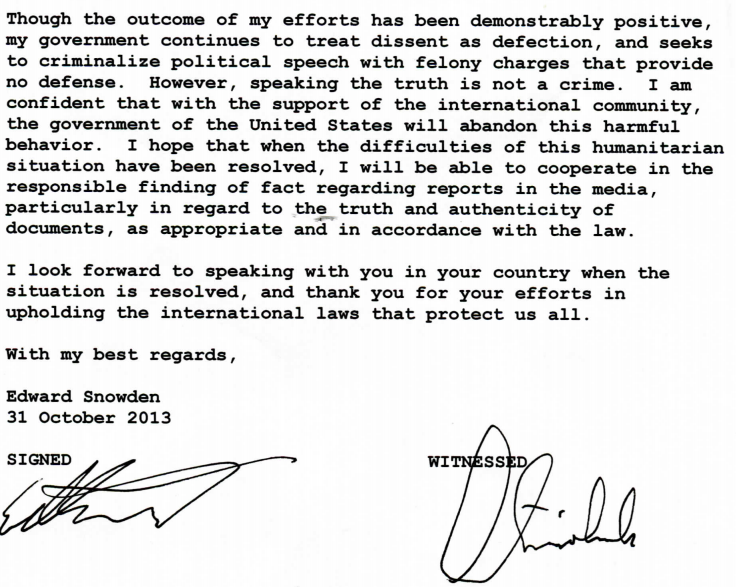 OK, the NSA was bugging German chancellor Angela Merkel’s cell phone for ten years, and a well-known German member of parliament has just met with whistleblower Edward Snowden in Russia. 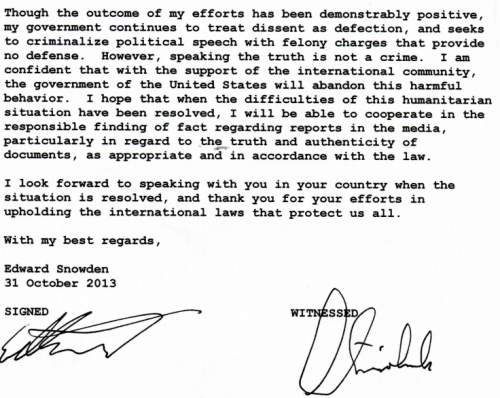 Snowden has written a letter and offered “to testify to a public prosecutor or an investigating committee of Germany’s lower house of parliament, the Bundestag”, as the SPIEGEL reports. Henry Farrell offers “five things you need to know about the transatlantic wiretap scandal”. Not surprisingly, he predicts a rocky way ahead for U.S.-EU relations. Dan Drezner wonders if Germany and France should be added to the “five eyes” group of states (U.S., UK, Canada, Australia, NZ) that share intelligence and vow not to spy on each other. Both posts contain a lot of further interesting links. A small bit of speculation from my point of view: That the NSA is active in Germany is nothing new, and I’m sure that U.S. intelligence is considered crucial for conducting German/NATO military operations abroad. Still, I think there is a marked difference in self-perception between the two nations. I don’t think anyone in Germany even wishes to have an equally powerful and expensive intelligence apparatus. Maybe I’m extremely naive, but I doubt wiretapping foreign heads of state is high on the BND’s agenda. The problem is not that us poor Germans envy U.S. capabilities, or are angry about our apparently pretty bad counter-intelligence. It’s rather that we are genuinely shocked by the extent to which our friends feel the need to spy on us and don’t think twice about it. And it’s not just about the high-level stuff. On the German platform Carta, Jürgen Drommert argues that the growing surveillance of citizens is far worse than espionage aimed at state officials. He tells us: Forget Merkel and the NSA, focus on stopping the trend towards full-scale retention of communications data! In the end, what matters is not how much hypocrisy is involved or how necessary (or at least: inevitable) high-level espionage might be. Instead there needs to be a debate in the United States as well as in the EU about two things: First, how exactly have the mandate and the practices of the intelligence community developed in the past decade? Second, how socially desirable are these developments? So far, there is reason to be worried. On both sides of the Atlantic, government agencies have developed an urge to collect huge amounts of data about ordinary citizens. It seems that technical capabilities are catching up with demand, and that the “new normal” looks like something you’de expect in totalitarian police states rather than liberal democracies. PS. Somewhat related: Bruce Schneier has written a great text on the “The Battle for Power in the Internet”.